Each month, Executive Director Kim Belshé reports to the Board the highlights and key developments made in the work of First 5 LA and the broader early childhood development landscape. This January, Belshé began by welcoming new Commission Chair and Los Angeles County Supervisor Sheila Kuehl, new Vice Chair Judy Abdo and incoming Commissioner Dr. Marlene Zepeda. She also congratulated Commissioner Karla Pleitéz Howell on the birth of her new daughter. Belshé then briefly addressed Gov. 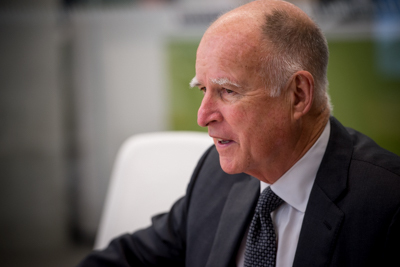 Jerry Brown’s FY 2016-17 budget proposal. Despite approximately $5.4 billion in new revenue, Belshé said, Brown’s budget does not include enough new resources to support early childhood development. In fact, she noted, child care and preschool investments remain lower than those investments were at the pre-recession level. Gov. Brown did put a provocative proposal on the table in terms of early learning: combining all pre-k and transitional kindergarten investments into a block grant to be disseminated by local education agencies, Belshé said. This is somewhat analogous to Brown’s Local Control Funding Formula, except that there are no new revenues accompanying this proposal. This proposal needs further examination in order to develop First 5 LA’s response, Belshé added. Finally, Belshé shared that First 5 LA is moving forward in an exciting and important phase to align its structure and staffing to effectively execute First 5 LA’s new 2015-2020 Strategic Plan. Towards that end, First 5 LA posted on January 12, 2016, four new positions that reflect the agency’s new organizational structure. The new Vice Presidents of Policy & Strategy, Integration & Learning, and Programs are part of a five-member Executive Team of organization-wide leaders who will shape, set and execute First 5 LA’s strategic direction. In addition, a Senior Director of Administration will be responsible for the management of the administrative functions of First 5 LA. These new positions will help First 5 LA establish more reasonable spans of control, provide more effective support to department directors, and enable decisions to be made more quickly. The current leadership structure has two unfilled roles. First 5 LA has refocused these existing positions and added one new position.